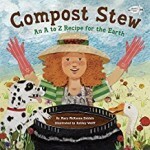 As composting becomes more popular children are getting involved both at home and at school and Mary Siddals book, Compost Stew, is a fun way to capture interest of the very young for environmental stewardship. Using the format of an alphabet book, the author introduces young readers to many of the things that can be composted and shows them how to create and care for a compost pile. The rhyming text and colorful illustrations are aimed to capture the imagination of reader from age three to seven. Siddals calls on environmental chefs “to fix from scratch/to mix a batch/of Compost stew beginning with apple cores and including eggshells, grass clippings as well as hair snippings, and “ an Insect or two, ending with “Zinnia heads/ from flower beds/whose blooming days are through.” Of course, a few odd ingredients appear, like quarry dust, Xmas tree needles, and yellow pine shavings, but in general the suggested ingredients are very reasonable. Children will quickly catch on to the often repeated chant, “Just add to the pot/and let it all rot/into Compost stew. The collage illustrations are colorful and reinforce the idea of recycling. The cast of characters include a multicultural group of children, a beautifully spotted Dalmatian, and a charming goose, all eagerly engaged in collecting materials for the compost pile, and then moistening it, tossing it lightly, covering it, and letting it brew. 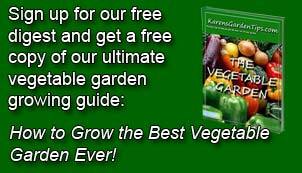 A resource page at the end of the book reminds adult readers what to avoid placing in a compost pile. Compost Stew is a great introduction to an awareness of recycling and one way of making the earth a better place. To buy Compost Stew from Amazon.com Click Here.